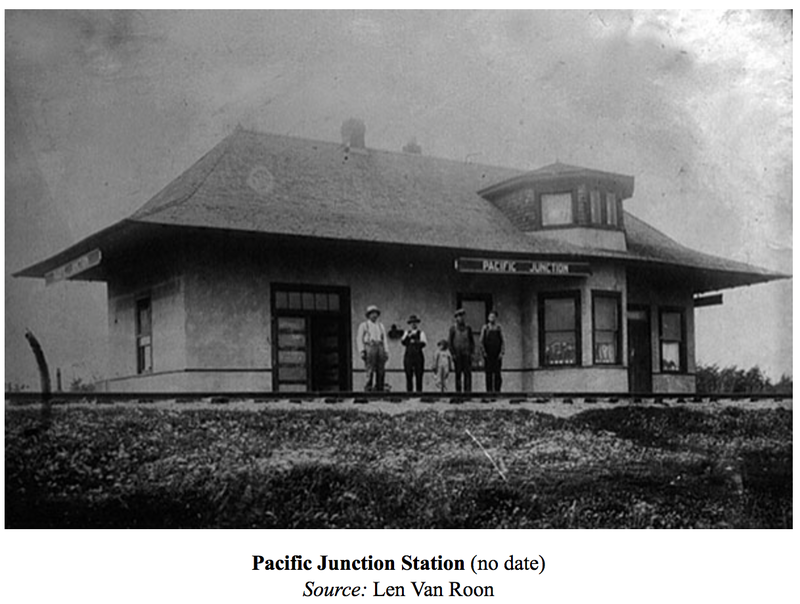 The Pacific Junction Railway Station was located in the north east corner of what is now Ridgewood Ave. and Elmhurst Rd, in Charleswood, Winnipeg. Directly north and across from the Searle grain elevator. It is my wish to fill in a lot of missing gaps about this train station, the Pacific Junction. If anyone reading this has more info or photos about this station in Charleswood, I would love to hear from you. Either use the comment form at the bottom of this blog post or send me an email at moparshat@gmail.com. Much appreciated.